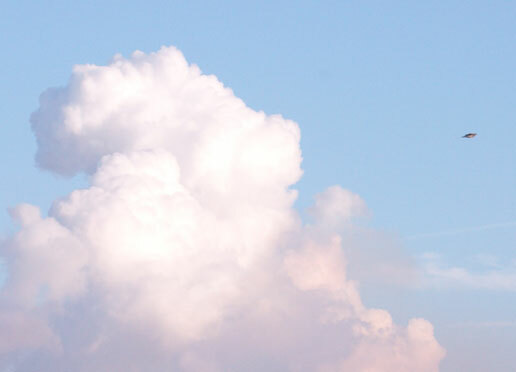 The object to the right of this towering cumulus is a pigeon. In this "frozen" state it can easily be mistaken for a Saturn-shaped UFO. Photo taken in Antwerp in the summer of 2007.